On the journey to London I was reading ‘Utopia for Realists’ by Rutger Bregman, from which one idea struck me forcefully; how the wealth of a country is often measured by their GDP, which in fact is a meaningless statistic because it does not take into account the value of happiness, environmental services, unpaid family carers and many other hidden benefits to society of things that are not given a financial value. On the same day, coincidentally, the Prime Minister announced there was to be a general election on June 8th. This means that I will wake up on my 64th. birthday to the news that the Conservatives have taken us further into the disaster that will be Brexit, especially for those of us involved in nature conservation (already a Stoppardian play on ideas – Conservatives not being interested in conservation). I have been going round singing ‘will you still need me, will you still feed me, when I’m sixty-four?’ under my breath for some weeks and planning to visit our youngest son in San Francisco, where he now lives and works, to join in the celebrations for the 50th anniversary of the ‘Summer of Love’ which entirely influenced my adult life and philosophy. The day after the play, as I was in London, I paid a visit to the Natural History Museum Wildlife Garden, as I had never seen it in spring, and this might be my last chance ever. The NHM has been making big plans to change the whole layout of their extensive grounds for some years, in order to cope with large queues for entrance in the tourist season, which is an important idea, but the wildlife garden is only one corner of the grounds yet the plans are to rip most of it up. 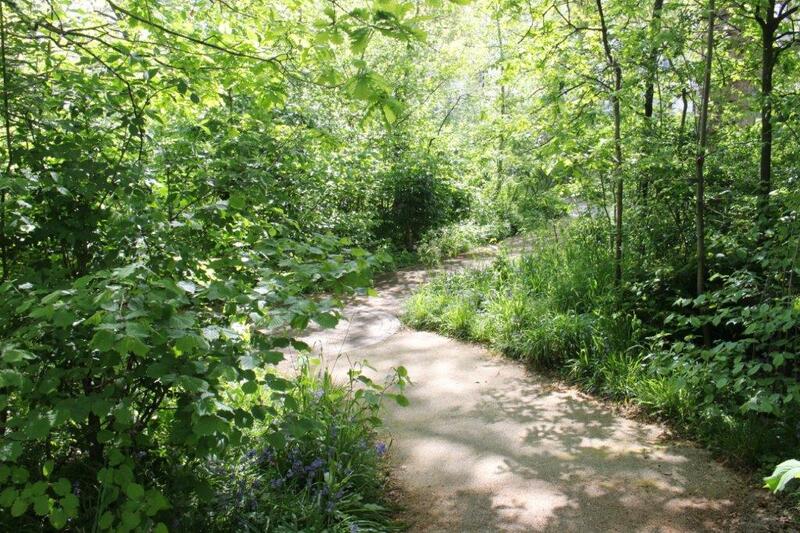 In spite of an online petition which now has nearly 40,000 signatures, the management seem entirely blind to what they plan to destroy in the pursuit of a garden designer’s plan of an artistic setting almost completely devoid of wildlife. 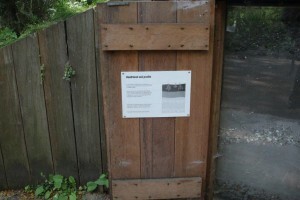 The irony of one of the greatest institutions for the study of wildlife in the world only having dead specimens on display inside, while their only live and constantly studied display outside for 20 years is bulldozed would surely have appealed to absurdist and comedy playwrights like Stoppard and Douglas Adams. 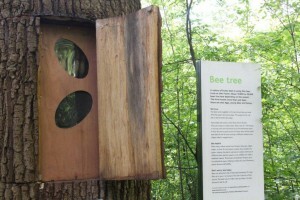 each habitat has a window into the section through it with detailed explanation. 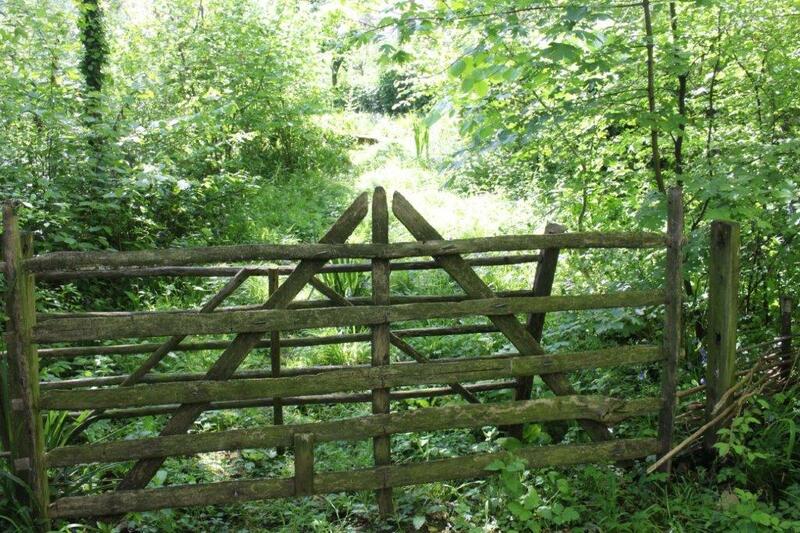 As a gardener and wildlife volunteer for more than 20 years, I have been involved in the habitat restoration of a major reserve in North Wales for rare butterflies. And I have studied and tried to recreate many habitats on other sites and on my own eight acres. This experience has taught me that habitats cannot be dug up and translocated to another site easily; and for all our knowledge and care, trying to contrive habitats for wildlife- especially those species that are endangered, is actually very, very difficult. 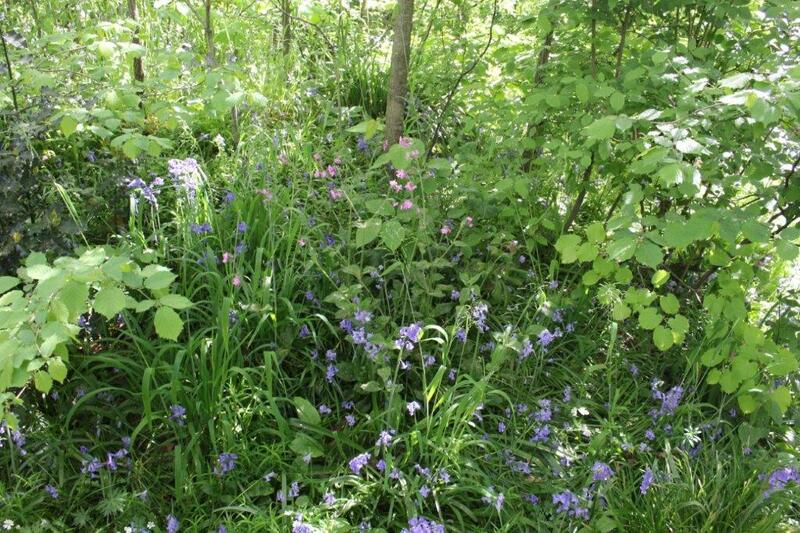 Much better to increase the existing habitat – or encourage adjoining landowners to follow the same prescription of habitat management that has worked already. 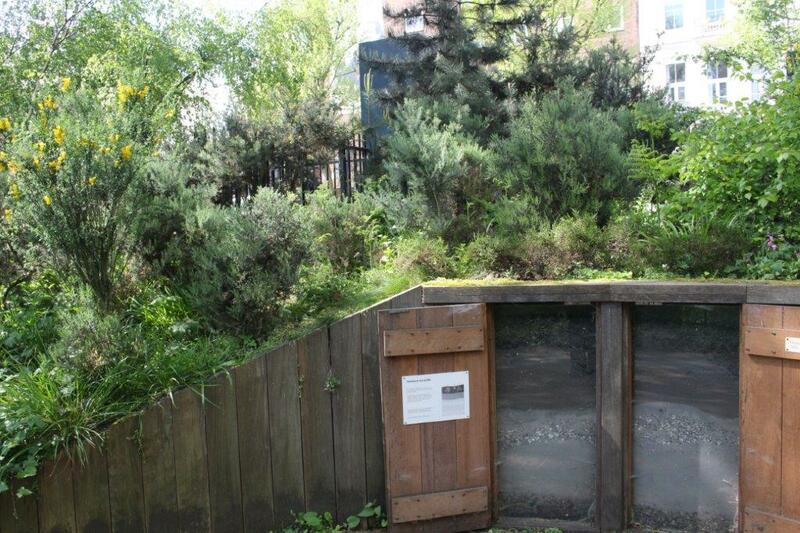 But at the NHM they are planning to dig up most of the wildlife garden, where several different habitats have been bedding in for 20 years, and say it will be OK because they are going to put some of the plants back into other areas. Knowing that we have lost 40% of our native insects, pollinators and birds even since the 1980s, to an environmentalist this is self-evident madness. And especially in the centre of a great city! 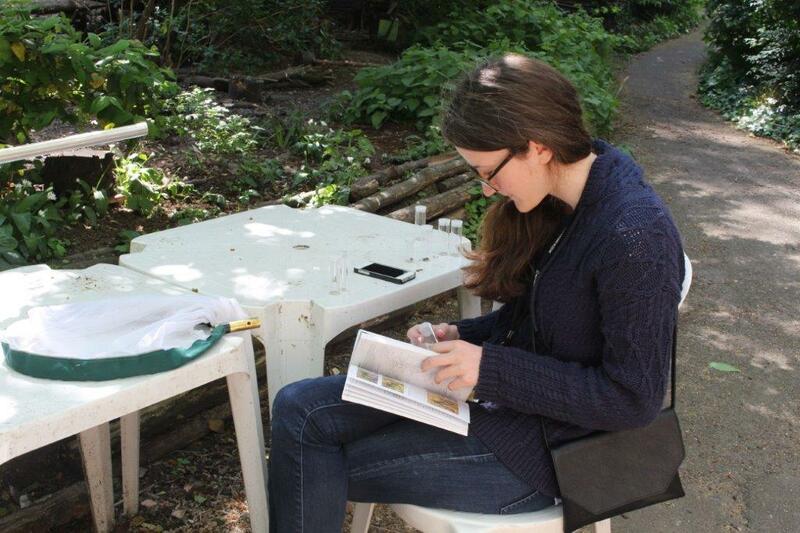 a student from Imperial College studies the insects as part of her own research which she shares with the Museum. But even that is not the half of it. 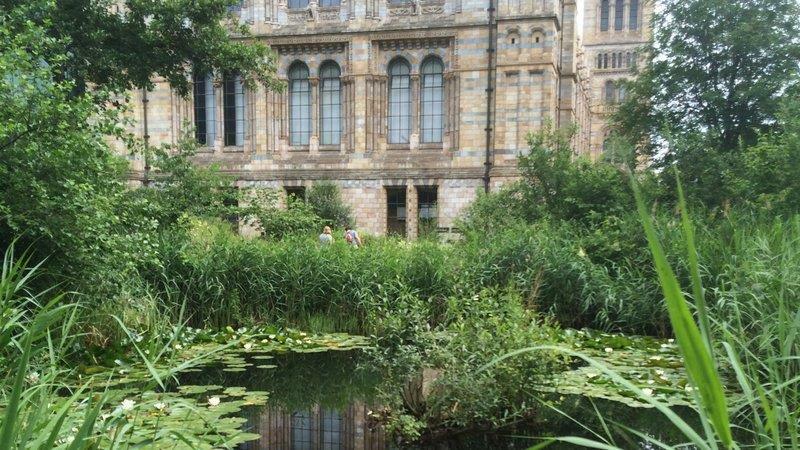 The NHM garden has become an essential place for education and study amongst school pupils and university students, staff and volunteers. While I was there for just an hour there were two separate local university students carrying out their own survey and study of insects and plants. 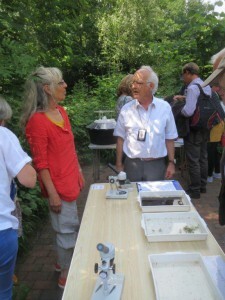 Two of the NHM scientific staff popped in to check their pitfall traps and other collection devices. And a primary school party were being guided around the ponds and woodlands. 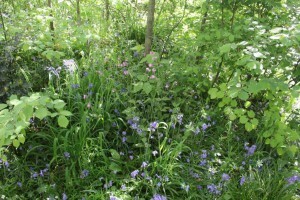 Not to mention the parents and grannies of young children enjoying the sight and sound of peeping Moorhen chicks on the tranquil large pond and the dappled shade woodland populated by native bluebells, white stitchwort and red campion. 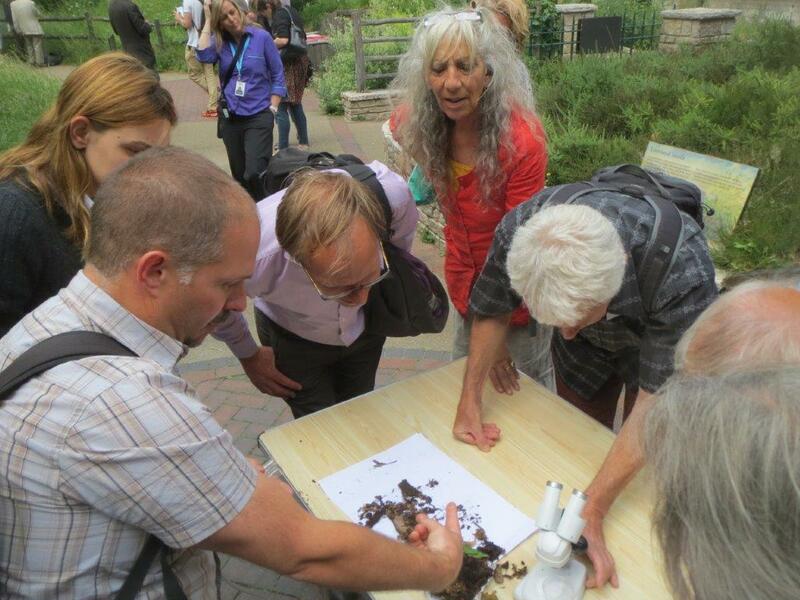 There have also been many public events in the garden – like the ‘Bat Day’ last year when 5,000 visitors passed through to see local native bats and learn about them from the NHM scientists. 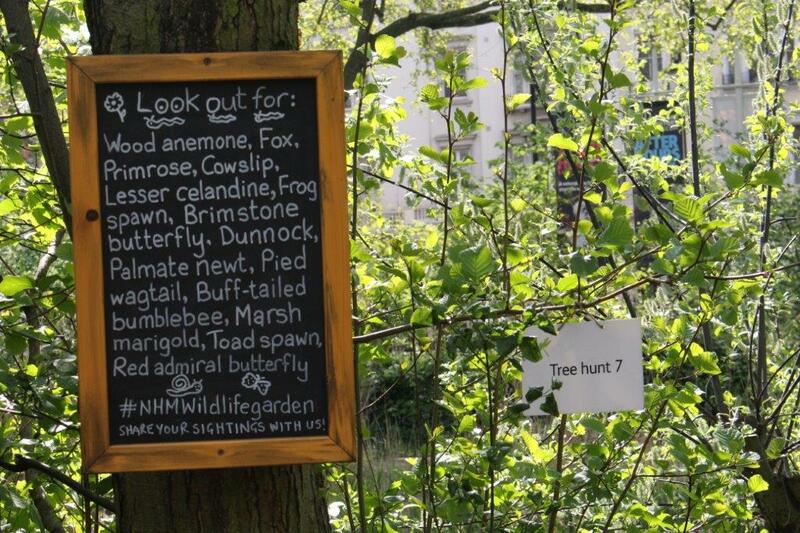 Study and connection to nature in the middle of our biggest city like this has been going on for 20 years, during which over 3,000 records have been logged on the NHM database, including a number of nationally rare species of wildlife found in that one-acre space. Recording is the lifeblood of conservation because it informs us of where species are still able to live and where we have pushed them out. And it is especially important to have continuous recording in an environment like a central western city because we are planning for the mega-cities of the future, and trying to find out what effects air, noise and light pollution have on us and our environment over a long period. Preserving the Biodiversity of our environment is essential for the health of not only other wildlife but also essential to our health. Especially as many scientists think we are now well into the sixth major extinction of life on the planet – this time being caused by us. The knock-on effects of species disappearing from the local ecology are only just beginning to be understood. We can’t afford to be losing more species and taking no records, without finding out what effects this may have down the line. 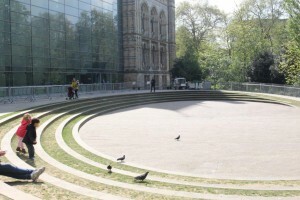 The new NHM plans are going to replace their magical oasis of conservation and study with sterile sweeping concrete ovals, with bits of well-trodden grass in between, where the only wildlife people will see will be the good old London pigeons. Now how does this connect with ‘Travesties’ and the ‘Summer of Love’? In ‘Travesties’ Stoppard ‘s main interest is in the competing value systems of art and commerce and whether art can be a greater revolutionary force than politics. 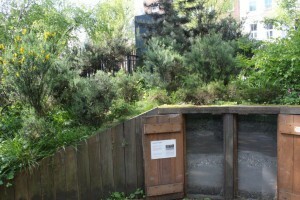 In the NHM wildlife garden plans, the travesty is in its destruction being hailed as a modern commercial solution and artistic interpretation of what is needed now. In the age of Trump and May, of right-wing selfish interest taking over from the Hippies’ philosophy of love and inclusion of all. In the play, Lenin declaims to the revolutionary crowd who want to throw the baby and bathwater all out as a simple solution to all their ills, that ‘Today , literature must become party literature. Down with non-partisan literature! Literature (and Art) must become part of the of the common cause of the proletariat, a cog in the social democratic mechanism.,…’ ‘Everyone is free to write and say whatever he likes.. 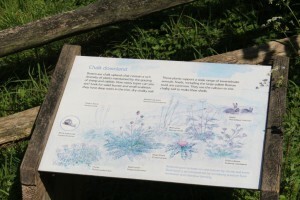 But every voluntary organisation, including the party, is also free to expel members who use the name of the party to advocate anti-party views.’ It is rumoured that NHM staff who object to the trashing of the wildlife garden have been under strong pressure not to speak to anyone about it. This is what seems to be happening today to all those liberal views that have been developing all the last 60 years- the EU., socialist ideas of universal healthcare and housing, the needs of public spaces; it hasn’t worked, get rid of it, ignore half the population if they don’t agree with you. As my eldest son is fond of quoting to me; ‘the 60s are over, and we lost’ – he even got me a tee-shirt with that printed specially on it last Christmas. 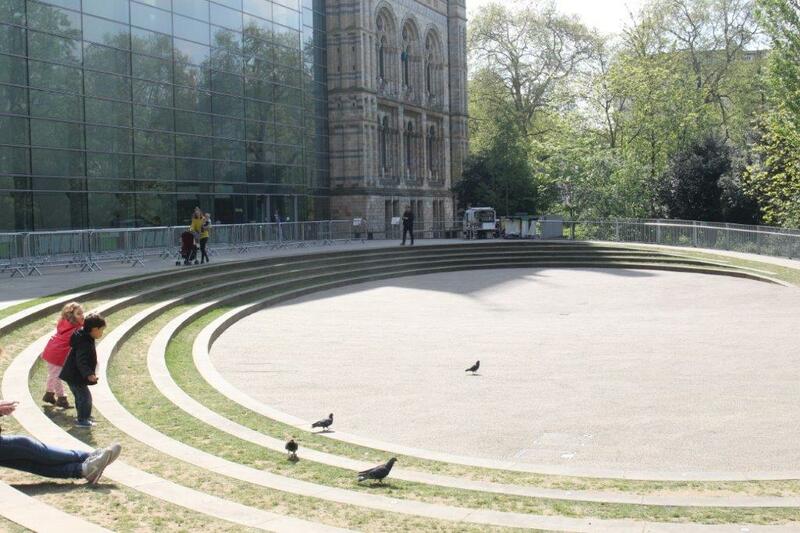 So the powers that be think the NHM Wildlife Garden hasn’t worked for its commercial survival, so get rid of it- never mind what 40,000 people have said. And it’s not as if there haven’t been other good alternative ideas put forward. 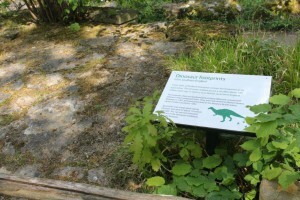 One was to have an overhead walkway, in the shape of a dinosaur or whale skeleton, connecting the road level to the Darwin Centre. If you know the museum you will remember that the grounds are all down in a considerably deep ‘moat’ around the building. A direct overhead walkway would not only go over the wildlife garden leaving it undamaged, but also give much easier access to wheelchairs, pushchairs and the elderly. 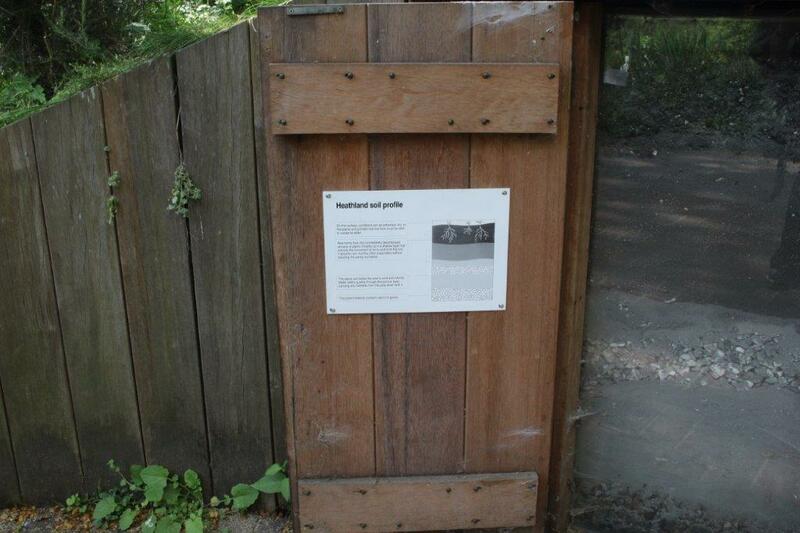 The NHM have not yet got the HLF funding needed for the re-development of the wildlife garden part of the grounds. If only a revolution of ordinary people could make a big enough effort to STOP this madness, we may yet save something of our national esteem, for all the competing values of artistic plans, commerce and politics.